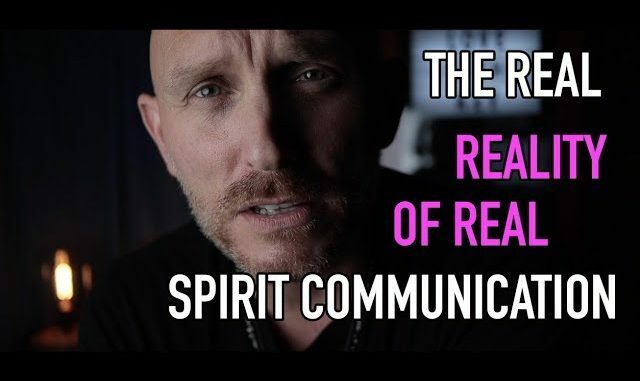 HomeCommentaryThe REAL reality of my Spirit Research. To those who do not believe in what I do. Yes, eight years already and boy has it flown by. There have been days, weeks and moments when I thought I was insane for doing what I do here. I mean, there are real concerns and dangers doing this work at a deep deep level. I have been through it first hand with attacks that sent me to the ER and then admitted to the hospital for heart issues, evil that tried to get in from time to time, and careless communication in the past that was all on me, but I see it as being all part of my learning experience. Today I do this in a much different way than I did for the 1st few years, and it really does keep evil out and love in. All is good here with me, at home and with all those I love. Yes, life is good. It’s true, anyone on earth who claims to talk to the dead is always ridiculed by the masses as so many in the world just refuse to have an open mind about life after death. Some do of course, many millions of people do believe in some sort of life after death, a God or a full blown afterlife with Heaven and Hell. Some do not and refuse to believe and it even when proof stares them in the face. It could be from fear or just their upbringing. Not sure but it’s all there, proof is there. Everywhere. You just have to open your eyes, heart and mind and you can see it all around, not just in my communications with the dead. As for Me? I knew from a young age that ghosts had to be real. I mean, I wanted them to be real! The thought of growing old and dying was always stressing my little young mind. I remember having thoughts and thinking “what will I do when my parents die”… I never ever thought I could handle that as I loved my parents so much, in fact, the love I felt for them as a kid was more than the love I had of my own life. I could not imagine not having them in my life, and it was a huge fear of mine back then. Ahhh, the worries of a kid. As I write these words, I am sure some of you reading this can resonate with some of what I say. But I always did believe, and knew there was something. It was a fascination for me ever since I was around 7 or 8 years old. I had my first Ouija board at age 9 and have used them hundreds of times over the years, and no, without any issues. Ever. I am in the camp that believes whatever we use to connect, we get out what we put in. We look for evil? We will find it. We look for good? We will get it. It saddens me when I see so many use these devices without any care these days, but we all have our lessons to learn, as I did mine. It is what helps us to grow. It helps our soul to grow, and learn. In fact, when we are very very young we are innocent, and we do have open minds. Before we get exposed or are taught the evils and nastiness of what we call the world, we are very gentle souls. When we are born we come from pure love and represent pure love. When we enter this earth as a newborn baby, we are 100% pure innocence. All we know is love. Period. We do not hate, we do not have emotions such as jealousy and anger, but we do learn all about these emotions later in life, and some are taught to us. But at that moment of birth, all we are is pure love and that love comes from a very special place. As we grow older and live life, and learn some hard lessons about love, life, hate, and all of the emotions we “learn” as we grow into an adult, some of us choose to grasp and hold on to love, some to hate, some to positivity, some to negativity, some to jealousy and some to a mix of emotions as we are not sure what our place in this life is for. What are we here for? Why are we here? To some, this life is a living hell, to others it is a place of pure pleasure. So why do some of us go through life so differently? Why do some of us feel we are victims, and some feel like they are kings? I think it is all how we are brought up, and how we have lived life…our experiences. These are the things that helps shape us as a person. Our family, our friends, our schooling, etc. I was luck to to have been raised with love but also a firm strict father, who helped shape me and my values as I grew older, and wiser. I miss him every day. As I grew older into my teen years I made so many mistakes, and as I grew into my 20’s I made even more. But this is by design. We all make mistakes as it is part of our soul journey…NO ONE is perfect. NO ONE. No one is better than another, though some think they are. We are all given the same body, made of the same parts. How we choose to use them is what will define us. We all have to learn, we all have to go through our SOUL JOURNEY so our soul learns lessons, so it can elevate to the higher vibrational realms in the afterlife. As the spirits have told me over the years, our souls are pure energy. Our souls are eternal. We never ever die. I have recorded these things from thin air, from using radio hack boxes, to using apps and other methods of communication, and always present my findings publicly, but one thing, one constant remains… and that is the dead do have emotions, do feel love, can communicate with intelligence, and can be “friendly” and even consider the living souls that they trust as friends. Our soul never dies. Period. Yes, our physical body dies, as it is designed to do but when we have to let go of it in death, we do go on. Everything is by design here, and I no longer fear death at all, not one bit. After extensive research for over eight years now, I know some of the realities of the afterlife, at least some of them (not all, as no one knows details on everything. I only can go by the research and evidence, which is quite astonishing) but not all. I do know that LOVE is important, LOVE is what we are meant to feel. Also, LOVE always beats hate. Here and in the afterlife. Our souls are here to love, period. To learn love, and to learn hate. To learn that LOVE is more important than any other emotion, and more powerful. I did not realize this myself until a few months ago when I had a very profound experience that was as real to me as anything in life. Just as real as my Mother, my Father, my computer I am typing this on. I asked for a sign from God about all of this. About what I do, my research, those who love me, those who hate me. Was I supposed to keep going even though evil spirits would at times try to attack me and stop me…I was asking for an explanation, a sign. Well, I was shown the sign and it was the most profound powerful experience of my life. I asked for a sign…and got it. We are here to LOVE not HATE. When our souls learn this, and feel Gods love from within (we all have it in us, we just have to realize it and accept it) our life can change dramatically, as mine has just since that experience alone. You often hear me say “LOVE IS THE KEY”. That’s not meant to be some tagline, it is real, 100%. The moment I accepted love into my heart and soul, and realized GOD is within us ALL. I lost all feelings I have ever had of any hate, anger, jealousy, stress or negativity. It vanished. At that moment I KNEW 100% that I was doing what I was meant to be doing. Adding to this, I realized I am one of only 2-3 in the world who do this research at this kind of level and shares it for all to see. I often wonder why not many others do what I do and take it as seriously as I do, and bring results as I do. I only know of two others who do, and one is a dear friend whom I have worked with may times, and we share the same passion for this research. Perhaps many do but do not feel like sharing it with the world. I do, as I feel the more who see what is happening, the more of us will turn to love, which will one day make the world a better place for all. Love is the key without question, and ever since that day of my vision and sign that I received, my work, my connection and my life has grown so much for the better. Not financially, as to me that is not important nor a priority or goal of this. I have spent tens of thousands of dollars over these eight years doing what I do. Developing devices, testing things I have never shown as they did not work, traveling, and even gifting very expensive things to those in this field of ITC whom I feel are doing great things, or have a great heart. I have recently recouped 90% of the money I have sunk in over the years, so I have almost broke even. Almost. So money is not a goal here for me, as this research is much bigger than money, much bigger than fame and much bigger than any of us. If you take ITC seriously you would realize this, if you do not and think ITC is just about TV shows, ghost “hunting” and “investigating” the same locations over and over, then you probably will not get it. I am not a ghost hunter, I am not an investigator. I am a spirit communicator and researcher. I see the big picture and know my goals within this ITC field. I have grown spiritually, and with an immense amount of love, forgiveness and joy that is hard to explain in words. Do I still get stressed from time to time? Sure, we all do and remember, no one is perfect as we are human and prone to being IMPERFECT, but any stress I get these days is very low level as I know from within, all will always be OK, as it has been my entire life. That is important and a way to stay grounded and realize that we do create our own realities. If we think we are going to have a bad week, well we probably will. If we know 100% all will be OK, it will be. Stress is bad. Anger is bad. Hate is bad. Why? Because it accomplishes nothing and never has in the history of life. Those who live life with anger and hate, they always stay at that level in life. They always are frustrated, angry and blame others for their bad luck. We are the only ones who control our own reality and I am telling you now, that LOVE is the secret to a happy life. Always negative? Well, this is what you will always get back. It is true. Over the course of my research and years doing this I have experienced it all. Love from so many wonderful people (98% of you), hate from those who live life with negativity and hate (2% of you) and have also experienced the “business and entertainment” side of this field of which I have NO INTEREST IN AT ALL these days. In fact, I have seen enough. TV shows? I have turned down quite a few TV show pitches and offers and even those rare occasions I showed an interest in ended up being something other than what they pitched, as they all want the same thing. TV wants a character. Someone who will do the schtick of TV. You know “OH MY GOD DID YOU HERE THAT”?!?!? after you catch your 1000th EVP. Drama, fake scares and more drama. They need that for ratings as a network will not buy a show if it is not bringing in the audience. Fear sells, but I am not buying in. An audience, especially in todays “reality TV” world, they need scares, they need shock, they need drama. It’s mandatory for the networks yet that is not really reality. So reality is created, it has to be for the money to keep rolling in. That is not my interest or goal of focus. Not for me, no thank you. For others, sure, if that is what they want out of life. If any network wanted me for something groundbreaking, special and powerful I would be in. But not the same old same old para TV shtick, and I would never become a character or “caricature” or myself. Remember, “reality” TV is not always so “real” and I demand REALITY for my work. There is no other option. I have a solid, REAL connection to the dead and this is a fact and proven in my work. They know me, they trust me, they spread love to me, they call me by first and last name, and want me to spread the message of love to all of you. I WILL NEVER EVER DIS-RESPECT THEM and PUT THAT CONNECTION IN DANGER as I have worked too hard for it. BUT LOVE is what they have been wanting me to talk about for years but I only recently “got it”. Now, of course anyone can say these words…but I prove it with my years of evidence that is all all real. 100%. Some out there do not understand how spirits speak even though it has been shown, proven, and explained many times. Some in this field, the ones with negativity in their hearts, only know what they see on TV or using old scanning radios in their own “investigations”. I have no interest in that, as my only interest is with real deep level ITC research. Not “ghost hunting” and not “entertainment”. I have interest in improving communications, as any real researcher should want. Progress is good. Two minutes of undeniable communication. I prefer to think outside the box, and LISTEN to the spirits. Instead of provoking them, or yelling at them, or making demands of them..I listen to them. I trust them. They have returned that trust, and worked with me over the years to develop tools and devices that truly have changed the face of ITC. Thousands use my Portal device, and some use the portals I showed them how to make on these very pages. Hundreds use my Wonder Box, and a select handful use my Wonder Box Gold and SoulSpeaker. Some make copies and rip off my work, and try to profit using my name, even those who say my device is “fake”..yea. It is what it is. But what others will never tell you is that these devices are worthless to anyone who does not have a connection, or want to work at getting one. Those with hate, and negativity in their heart will never be ale to get a strong connection, it is just what it is. We can all establish a connection but a deep one takes work, time and patience. We all have that ability. I will soon be making a series on how to do just that, for anyone interested. So for me, this is not about ghost hunting, it is not about always going to haunted locations. The reality is that it is about love, and the spirits want love, and when you give them that they will give it right back. Some can not understand what I do, and how I can talk so clear and freely to the spirits. Some think it is fake and go out of their way to TRY and prove it, yet that is impossible to do as what I do is real. Anyone who has met me, worked with me, or followed me for years knows the facts. I never ever let anyone sway me from what I do, I never even give the hate a nanosecond of my attention, even when they make fake accounts on youtube under my name and using my name and photo to spread hate, trying to trick people into thinking it is me saying these ridiculous things. (Yes, some are so hateful and negative and childish they do these things, it’s really strange and again, doesn’t hurt me, only those who do it as they are holding their own lives back by staying with hate and negative karma). Again, as I have said for years, time will tell and show what the true reality is, and I am just getting started. (Big announcement soon). As I said earlier, I have no hate within me. I have no stress within me. I am calm and know that I am on the right path, without question. I know WHY those who make claims about me do what they do, but that is within them and something they must contend with. Until they choose love over hate, their lives will always be the same. Always. It’s easy to hate, but for some, very hard to love. I pray for these souls almost every day, but it’s not in my hands to change anyone. I would love to see everyone live a happy life but sadly this is not possible. BUT I WILL TELL YOU that it is possible once you realize GOD is within you, and you can harness that love energy like you never imagined in all areas of your life. My spirit research is all 100% real, and it doesn’t take much to see that. I have done this live, with groups of strangers (see the last bellaire house video with a huge group and live seance), on location and have proven my work scientifically as well. Anyone who gains success in something will always be attacked by those who want that success. My success does not come monetarily but for me, spiritually and with love. Want to see me do a live seance for a group of people I just met? It’s in the video below. I met with many great people at the house, and we did a ton of communication. LIVE. I love all of you, I love those who hate me and attack me with lies, as I must. We as humans living on this earth MUST learn to love as we are all together here, and will all be together in the afterlife but believe me when I say, there IS a Heaven and a Hell and a middle ground, it has been talked about by the spirits many times. For anyone who does this work and intentionally fakes it, there may be a special place down below when they pass waiting for them as this work is never to be mocked, faked or done with the intent to fool anyone. Those who do fake, will be angry with me for saying this but I feel it is true. NEVER MOCK the dead. EVER. It is real and it is important, this research. It MUST be taken seriously. It is life changing, miraculous and what I and a few others (that I know of) are doing today has NEVER EVER been done in life before at this level, and it is starting to get even more serious and intense. Stay tuned as I will be here at the forefront with evidence, and to show you all what is happening on the other side. I mentioned earlier for you to hold a thought when I mentioned love comes from a special place. Well, it does, and that place is what we call Heaven which is the source of all love and when we are born, we are born with a clean slate and have the emotion of LOVE within us at its strongest level, more than we will ever have in life. If one could get back to that level as an adult, meaning only feeling and pushing out love to everyone, and to understand how powerful it is, to never judge and to never hate, miraculous things can happen. In todays world that would be a hard hard feat to accomplish but it is possible and if you can do it, you will truly “see the light” and your soul would seriously thank you for it. 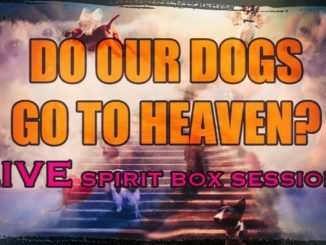 November 19, 2018 Digital Recorder, DR60, E.V.P., Evidence, News, PORTAL, Spirit Box, Spirit Communication, Talking to the Dead, Video, Vlog Comments Off on Two NEW videos… A See a being of light who helps, and a video about LOVE! January 4, 2019 Connection, E.V.P., Evidence, INCREDIBLE, P-SB7, PORTAL, Talking to the Dead Comments Off on Taking a LIVE CALLER and Connecting..LIVE.